As life continues to ramp up speed without any sign of relenting, more and more people are turning to retreats in order to disconnect from the outside world and reconnect with themselves. In answer to this, Banyan Tree, one of Thailand’s premier luxury resorts in Phuket, has joined forces with The Link Crowd to offer a bespoke well-being program designed specifically for women to rediscover a sense of balance in their health and wellness. Aptly named the TAO Retreat, it brings together three of the top facilitators in the region to cover nutrition, fitness and lifestyle balance, specifically those issues pertaining to women. Start your day with yoga on the beach. Strengthen your body, balance your mind. Perry Mardon will be a special guest. TAO Retreat is designed to both educate and inspire women to make more positive choices around their nutrition, fitness and in balancing out their busy lives. It invites them to pause and reflect on what’s important in their lives and what they want to take into their future. Special guest Perry Mardon, a life and business coach from Australia is a standout in the facilitator line-up. 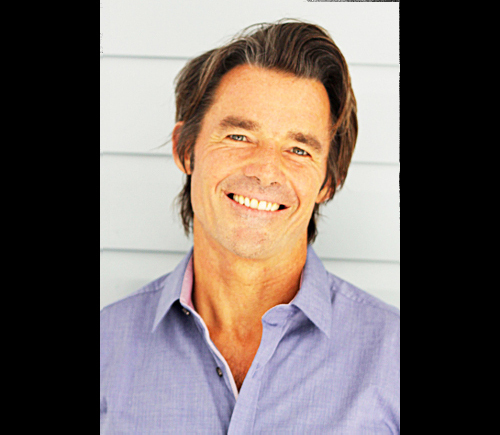 Internationally renowned for his coaching, presenting and business acumen and a master of human behaviour, Perry has a unique ability to uncover the limited operating systems we all run that get in the way of us living wholly fulfilled lives. With thousands of happy clients around the world, Perry will take retreat guests on a journey back to themselves to reconnect to parts of themselves that they have shut off from. Banyan Tree could not provide a better setting for this retreat program. A secluded tropical sanctuary on Phuket Island, surrounded by crystal blue seas and hushed palm trees, the property is the ideal place to take a few days for yourself. At the crème de la crème of resorts in Thailand with a world-renowned spa, make sure you’re there on June 25 and 26. For more information, you can email belinda@thelinkcrowd.com, visit their website www.thelinkcrowd.com, or call 088 450 9696. 4 nights/3 days packages or one/two day Workshops available.